While I'm Waiting...: Hearts, hearts, and more hearts! Hearts - I LOVE them! And, not just because Valentine's Day is coming up. I'm a heart collector all year long. I can just about guarantee I will love anything with a heart on it! Clothes, bags, accessories - you name it! 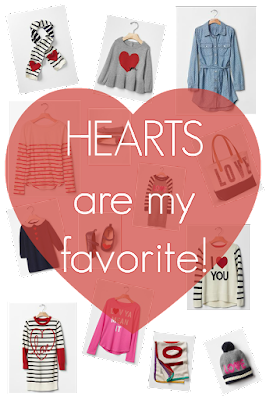 I'm not real sure how I stumbled upon the Gap website yesterday, but I was overwhelmed with the amount of adorable heart/love/Valentine inspired items they had! 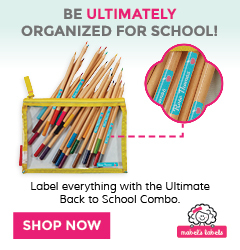 These items tend to go fast so I didn't want to delay sharing them with you! And, before I go, know what makes my heart smile? When fellow bloggers give you a shout out! 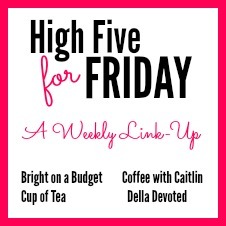 Thank you, Katie, Tif, Della, and Caitlin, from High Five for Friday for making me this week's featured blogger! How sweet is that?! Be sure to stop by and link up with their party today! 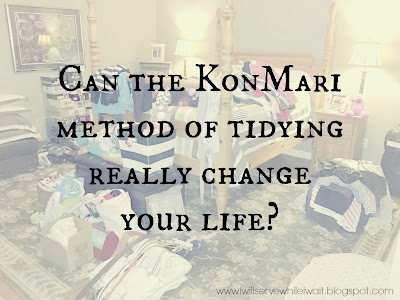 Is the KonMari method a game changer? Waiting on...Wednesday link up - it's not too late to join us! link-up open through tomorrow! Hope you have a wonderful day and a weekend filled with things that make your heart happy! be sure to visit my FAVORITE link-ups page to see where I'm linking up today! 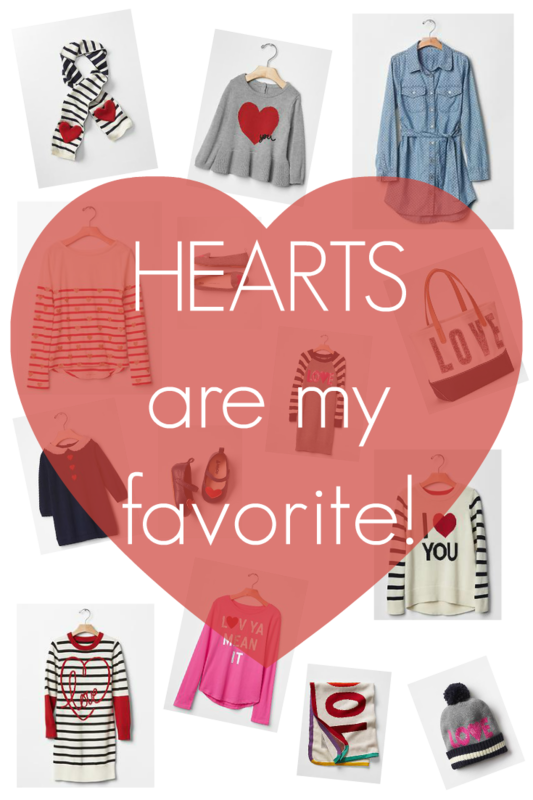 Every time I walk in a store and I see hearts - I can't help but smile! LOVE all the hearts! Hope you have a fabulous weekend, Alexis! oooh, I'm a fan of the hearts also! Checking out your links today! Have a great weekend! Thanks, Jackie! Fun to find another heart lover! Hope you have a great weekend! I saw your name in light on Tif's post this morning. Yeah for you! Your posts have been rocking this past week or so. Not that they didn't before, but I know you were feeling in the blogger dump a few times. How's your organizing coming? Plans for the weekend in that area? Looking forward to the closet post. Emily's 12MofBliss challenge has been the hardest one yet for me this month. Prayers needed as Sunday approaches. Thanks, sweet friend! Yes, I know exactly what you are talking about! I was in a major blog slump! I've got so many ideas but not enough time to write about them (good problem to have!). Organizing slowed down a bit this week - just life and trying to find the time. BUT, I'm still working on it - just not as much as I wanted to. This weekend is filled with basketball and a quick trip out of town so, sadly, not purging will happen BUT I'm totally looking forward to a little "forced family fun" as our oldest loves to call it. :) I'll definitely be praying for you. I know this isn't easy. Know I'm thinking about you and lifting you up! God's got this one! Promise! I'm so with you on the heart love! If it has a heart on it, no matter what time of year, It's almost guaranteed I'll buy it too! lol. Congrats on being this week's featured blogger! So fun! Looking forward to checking out the recent posts you linked! Love finding so many others who love hearts as much as I do! It's SO hard not to buy all the heart things!!! Thanks so much for stopping by! I hope you'll stop by again soon! Have a great weekend! Great post today! Congrats on the feature. You are on fire knocking out post! Thanks! I had a completely different post all planned out but when I happened across all those cute heart things, I couldn't resist (and I knew they would probably sell out quickly). Just ordered the dress for me (except I'll probably have to return since they didn't have my normal size), the I love you shirt for Hope, a version of the pink shirt for Holden, and the blanket (for my closet makeover!!!). I love hearts too, so I'm always super excited when the Valentine's stuff starts coming out :) I think the striped Gap shirt and the loafers are my favorite! Congrats on being the featured H54F blogger and have a great weekend!! And, if you don't get it when you first see it, it's gone! LOVE the striped shirt and loafers too (REALLY wish those loafers came in my size!). I'm so glad you stopped by! Have a fabulous weekend! Since I had a post on hearts you know I love this post!! I love hearts. I will have to look at this stuff!! Hearts are definitely my favorite! Thanks so much for stopping by! Hope you are having a great weekend! Those clothes are too cute! You've got me thinking about Valentine's Day now. 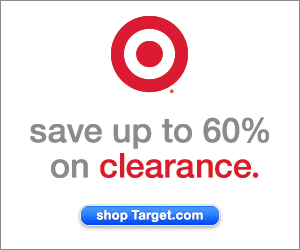 I need to run out to Target and see what cute items they have in their Dollar bin. Have a great weekend! 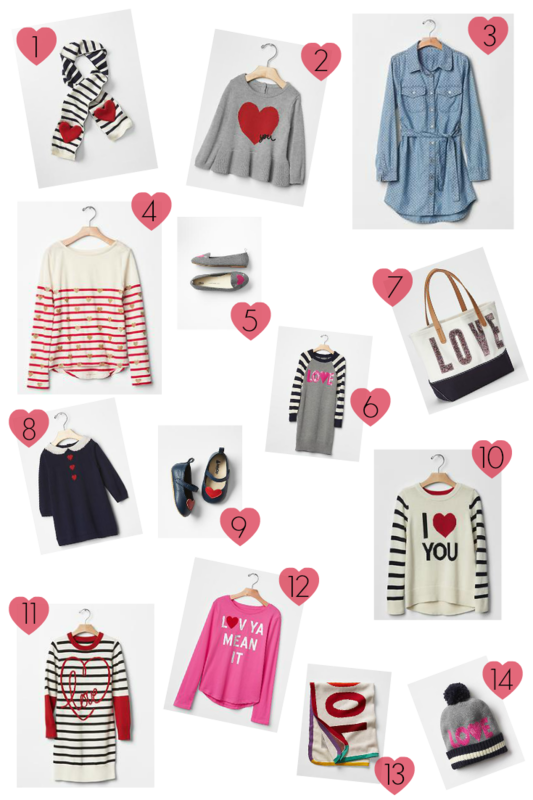 The heart & stripes boatneck tee is really cute! I bet those were SO cute! Heart anything is my favorite!!! Cute selections! Thanks for sharing with the Thursday Blog Hop! Thanks, Pam! I appreciate you stopping by and for hosting! See you next week!